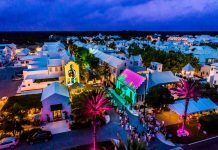 The 7th Annual Thanksgiving Day Races in Rosemary Beach Florida, will take place November 21-22, 2018. 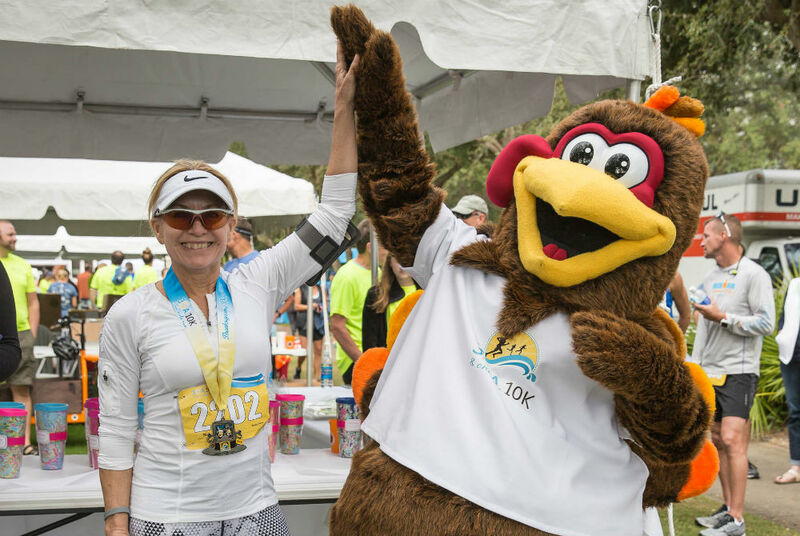 Recognized as one of the Top 10 Thanksgiving Day races in America by Southern Living, the 30A10K has been providing locals and visitors alike with a fun-filled Thanksgiving Day road race that not only is good for the body, but good for the soul. 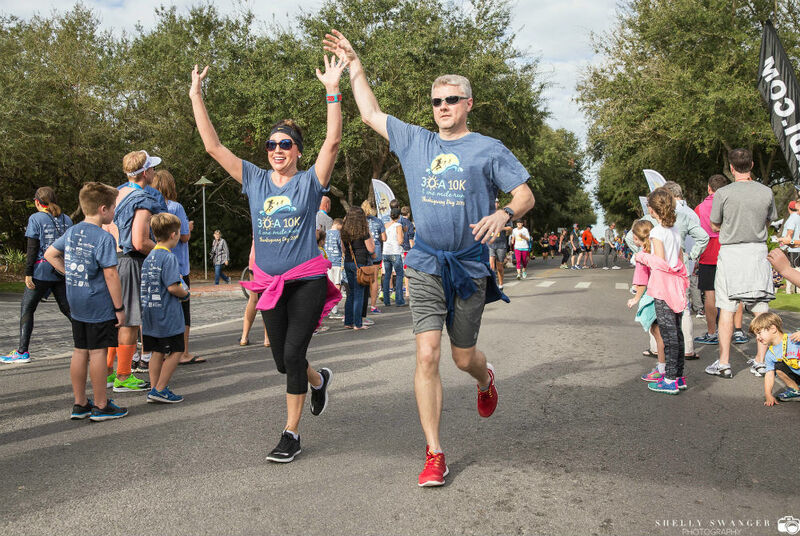 To date, the 30A10K has donated over $250,000 dollars to local charities. 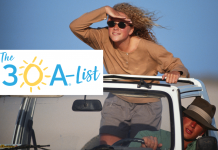 This year proceeds will support The Seaside Repertory Theater, Choctawhatchee Basin Alliance, Sandcastle Kids, and the Cultural Arts Alliance of Walton County. 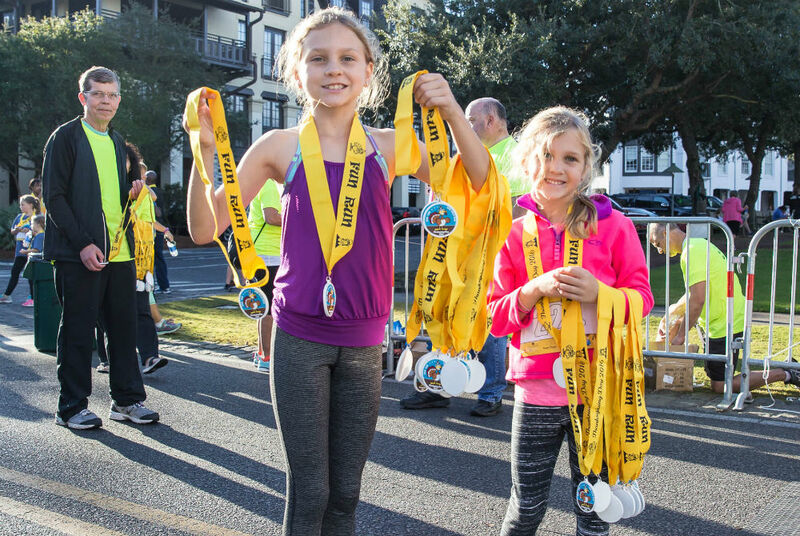 All races start and finish in Rosemary Beach. 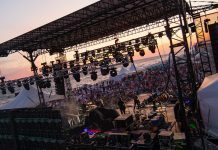 The out-and-back courses wind along Scenic Highway 30A offering breathtaking views of the Gulf of Mexico, Camp Creek coastal dune lake and pristine beach communities. Runners of all ages can enjoy this fun, family friendly series of events with 10k, 5k, and 1 mile races. Justin Gaffrey’s original work (left) was the inspiration for the 2018 Race shirt. This year’s race t-shirt is extra special as it truly is a work of art! Acclaimed local artist Justin Gaffrey has put his talent to work and created a painting specifically for the race. Another exciting addition is that the shirts are made from recycled plastic water bottles! Race sponsor 30A is providing the shirts. Each of their super soft recycled shirts saves eight plastic water bottles from ending up in our landfills and waterways. Register by October 15 to guarantee that you take home one of 30A’s eco-friendly shirts that is also a piece of art! This year’s Packet Pickup & Expo will be held at The HUB on 30A from 12 noon to 7 PM on Wednesday, November 21, 2018. Race participants and their families are encouraged to come enjoy the festive atmosphere and many food and retail offerings of The HUB onpacket pickup day. The 30A10K is not possible without the support of its many volunteers. 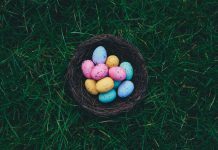 If you are not a runner but wish to be part of the fun and festivities, there are still some volunteer opportunities available. Check out http://30a10k.com/volunteers/ and find out how you can participate. 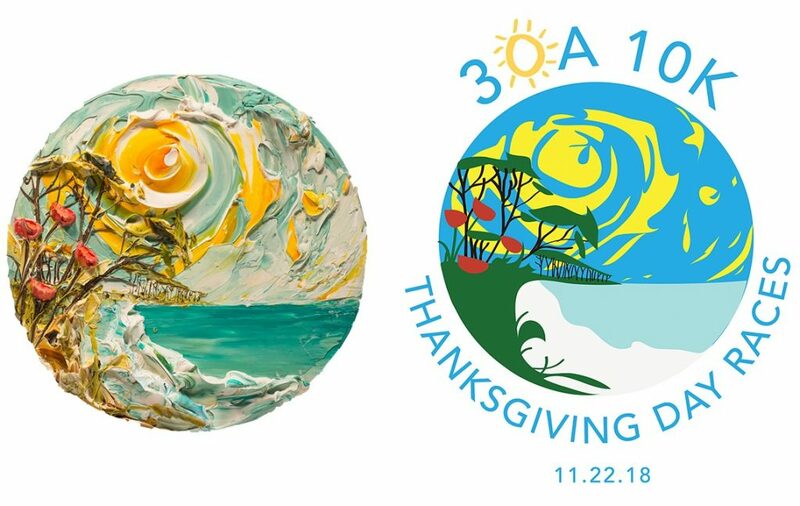 For more information on the 30A10K go to http://30a10k.com/ OR to register for this event and guarantee your Justin Gaffrey inspired race shirt by the October 15th shirt deadline click HERE. 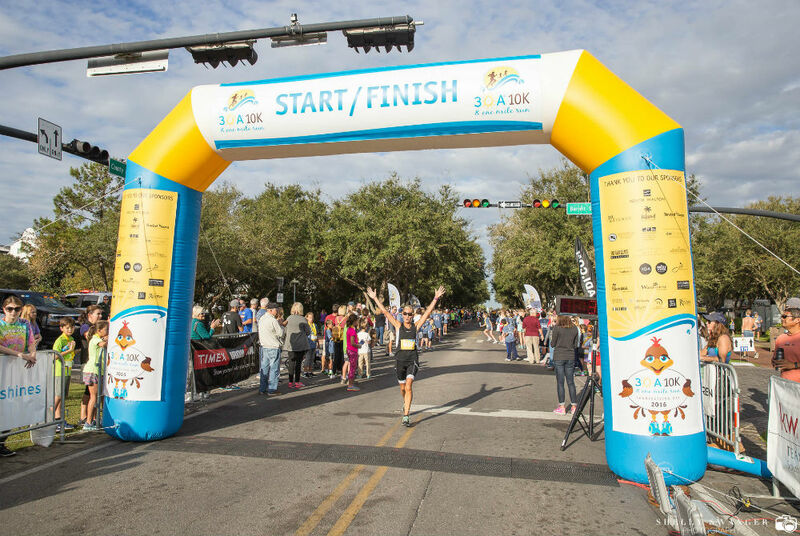 To help you plan your 30A10K fun here is the schedule of events. Back by popular demand, our Race Expo features fun for the whole family. 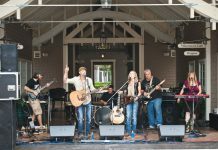 The Hub features an outdoor marketplace with shops, restaurants and entertainment for all ages. DAY TWO: THURSDAY, NOV. 22 – RACE DAY! Both lanes of Highway 30A will be closed from Rosemary Beach to Watersound during the race from 7am-10am. Parking locations are: Shades, Rosemary Beach (very limited), Alys Beach and Seacrest Beach. Keep in mind that vehicles parked along the race route will not be able to exit the parking area until Highway 30-A reopens at 10am. 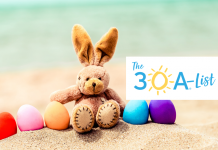 For more info or to register, click here or follow the updates on the 30A 10K website and Facebook page.